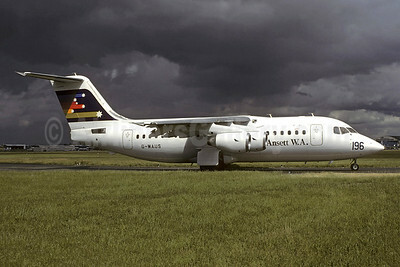 (formerly Airlines of Western Australia) (MV) (Perth) 1984 - 1993 (merged into Ansett Airlines). Photos. Framable Color Prints and Posters. Digital Sharp Images. Aviation Gifts. Slide Shows. 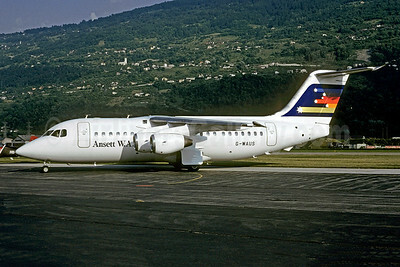 Ansett W.A. BAe 146-200 G-WAUS (msn E2008) LBG (Christian Volpati). Image: 946171.